The Crystals from Swarovski Seal comprises the latest security features. Apart from its hologram effect, every seal tag and sticker has a unique 16 digit code that can be found on the front of the tag or sticker directly below the seal. Making the best crystals in the world is our passion. With the widest range of colors, forms and sizes, the best durability you can find, and produced in a sustainable way. That unique sparkle has defined Swarovski since 1895. It has inspired generations of the world’s best designers, and infused people’s lives with glamour. And because we love it so much, we want you to know how to recognize products embellished with Crystals from Swarovski. That’s why you should look out for the Crystals from Swarovski Seal used by our official Ingredient Branding partners. 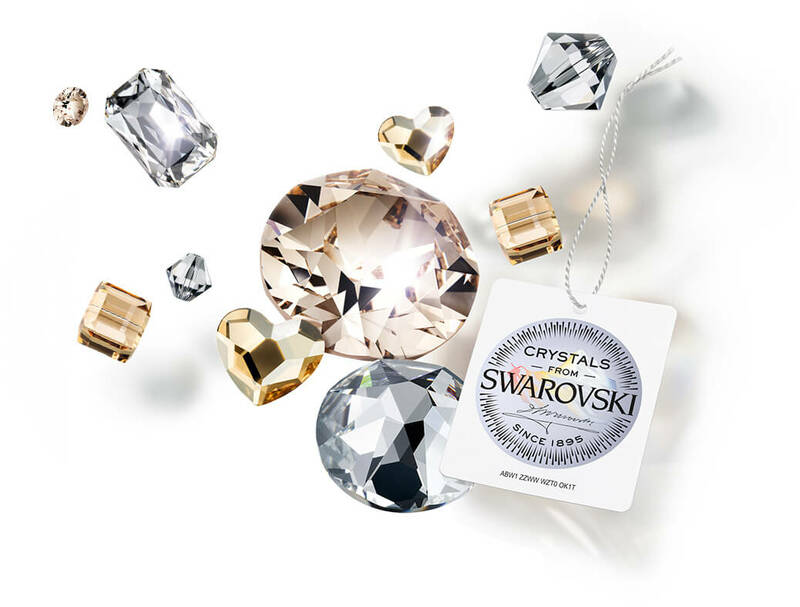 Stay up-to-date on new trends, brand collaborations or products with crystals from Swarovski?